Folklore, fashion and jewellery. This is the first out of five unique DAGADANA‘s videoclips from the recent Live Session. Please enjoy watching us wearing splendid folk outfits. We want, through our music and costumes, bring together two nations – Ukrainians and Poles. We live together, right next to each other. There are more and more Ukrainian people in Poland, and we still know so little about each other! The videoclip to the wedding song “Grajo gracyki” (which, in Kurpie dialect means “musicians are playing”) was filmed a few months ago in Lviv. It was the first out of five unique video recordings of DAGADANA. The remaining four will be published every two weeks and will include folk tunes from Poland, Ukraine and distant China in DAGADANA’S jazz-electronic interpretation. For each videoclip stylists from Ukraine and Poland prepared special outfits which combine traditional and modern elements of clothing from Poland and Ukraine. We wanted to present the beauty of our cultures not only through music, but also craftsmanship. Our goal was to create modern Slavic imagery by blending elements which have never met before. For example, outfits worn by the Ukrainian highlanders are mixed with some accessories from the Polish region of Wielkopolska. The flower crowns which appeared in the first set became an integral element of the band’s image and are objects of great interest around the world. People ask about their history and origins, want to try them on or take a photo of them. We feel really special and pretty wearing them. Dominika Dyka is the soul behind the stylisation for the videoclip to “Grajo Gracyki” song and an artist whose works are currently storming the web. In her art Dyka pays great attention to the beauty and richness of Ukrainian folk culture. Her headdresses are inspired by by traditional wedding wreaths from the Poltava region in Ukraine and were created by Treti Pivni workshop. Slava Salyuk, a legendary Ukrainian jeweler, created the jewelry using coral beads, old coins and cross pendants, all bound together with colourful ribbons from Hazy in western Poland. The band members are wearing historical costumes from “Dawnij Narodnyj Odiag” shop in Lviv, a place which collects traditional garments from various corners of Ukraine. Daga and Dana are wearing embroidered vests (“gorset”) from the Lviv region, decorated with beads. Mikołaj and Bartek are dressed in outer garments called “serdak” from the Hutsul Region in western Ukraine. The main theme of the whole session was the meeting of various cultures – some of them very close to each other, like Polish and Ukrainian, some very distant and exotic, like the Chinese one which has mesmerised the band musicians during their concert tour in Asia. DAGADANA have been playing together for nine years. Since the very beginning their philosophy has been meeting and sharing art and music with artists from various corners of our planet, as well as being the ambassadors of Polish and Ukrainian culture. The band has already played in 22 countries! Two operators from Poland and Ukraine were invited to join the works. The whole project was looked after by Visual Heads Company from Poznań in Poland and their film director, Artur Przybylski. The beginning of the year brought great news for the band. “Meridian 68”, the album recorded in Poland and China together with guest stars from Beijing, Inner Mongolia and Poland, was nominated for Fryderyk Award. It was also the best reviewed Polish album in World Music Charts Europe – a yearly ranking of the best world music albums selected by radio music journalists from whole Europe. 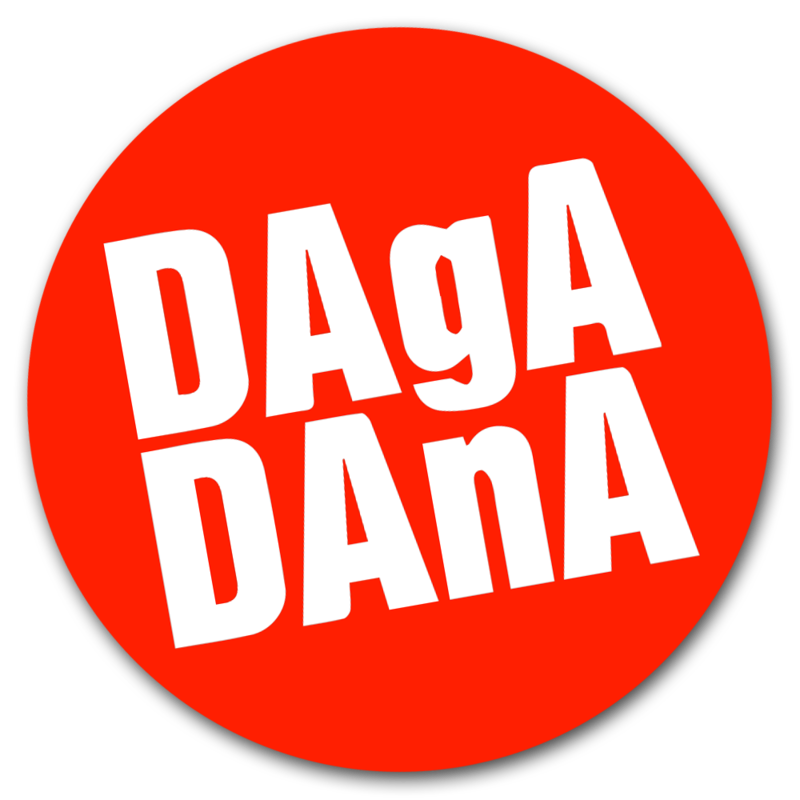 DAGADANA signed a record contract with a Chinese record company 13th Month, as well as with one of the most important European record companies – Jaro Medien (publisher of such stars of the genre as Bulgarian Voices Angelite, Hazmat Modine, Hun-Huur-tu or Warsaw Village Band). “Meridian 68” will be published by them at the beginning of 2018 and will be featured during concert tours in Europe and China. Previous post New music video from DAGADANA!! !